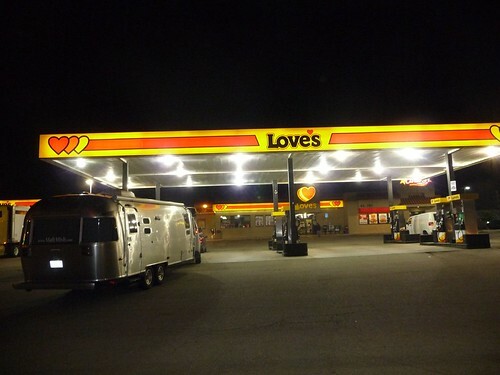 Mali Mish – And we’re off… Road Trip 2010!!! It was inevitable. We had been talking to everyone about it for too long and we have gotten to the point where we could not back out of this one even if we wanted to. But all joking aside, we have been waiting for this day to come for a long, long time. Our shakedown trip to northern California went as well as anyone can expect in the rain. We got a chance to hangout with my family for a few days and stayed at a beautiful campground that we will surely visit again in better weather. With a few thousand miles under our belt prior to that trip, it was actually the first time we have headed that far north. We came home with a some more items added to the pre-flight checklist and got ready to push off on the evening of January 29th. The plan was to head down to San Pedro, CA, a suburb of Greater Los Angeles, for a few days where Marlene parents live. 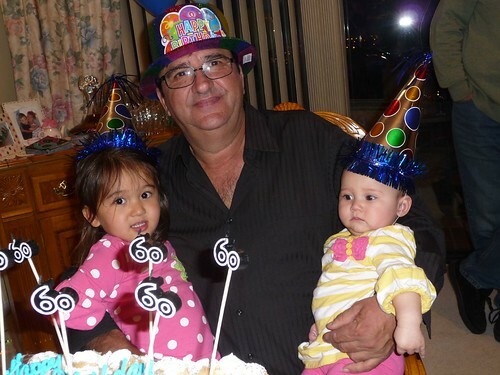 Her dad was having a big 60th birthday party and we were going to join in on the festivities. 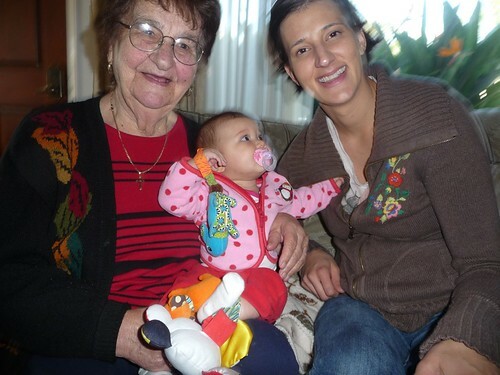 With so many of Marlene’s family members residing in the area, we had a chance to see them all one last time before our big trip. 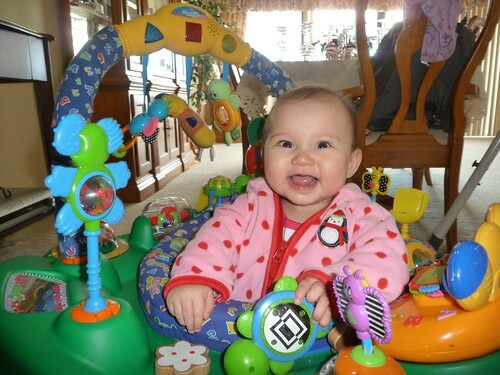 Mila being only 5 months old, she will surely be a lot different by the time they see her again. 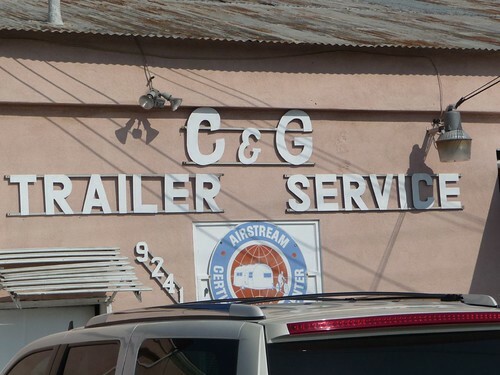 Another purpose of the stopover is to get some of the last items taken care of on the Airstream at C&G Trailer Service in Bellflower, CA. 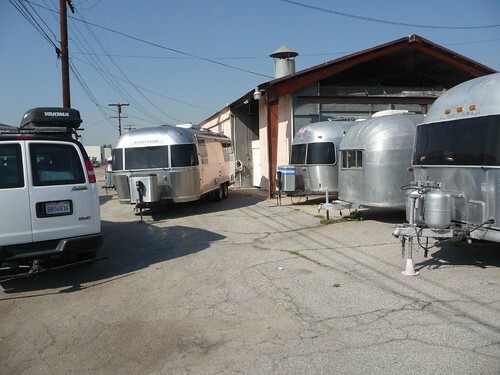 It is one of the most respected Airstream service centers in California because of the quality work that they perform. We have heard and read about C&G from many other Airstreamers and it being only 2o miles from Marlene’s parents house, it was a no brainer. We made an appointment to bring her in on Saturday morning and left her there for a 4-night makeover. We had actually been trying to find a place to store Mali Mish for the 5 nights we were going to be down there. It worked out perfectly with the drop off and pick up dates at C&G so we didn’t have to worry about getting hassled by the traffic cops in LA for parking curbside. It is pretty much illegal to do it in most cities in the Los Angeles area and we just couldn’t let them ruin our trip for us. We had a few nagging issues plaguing us during the Nor Cal trip that we wanted to make sure it was looked at. Fixing a flickering running light, testing a finicky furnace, repacking axle bearings and the usual 1-year service was on the docket for this visit. We also wanted to make sure she had her brakes checked before we start putting some serious mileage on her. It might just be me but she definitely feels lighter on her feet with the freshly greased bearings. 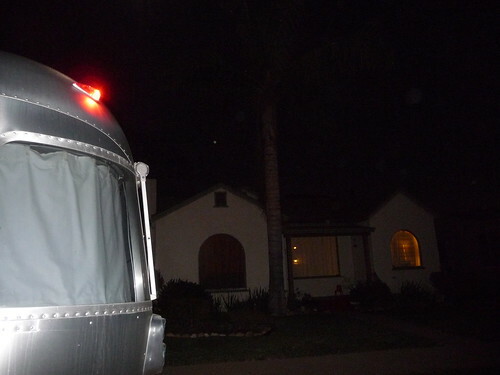 The service was done as promised on Wednesday morning which is the day of our departure from LA. We turned down the wax and wash job since more rain was in the forecast but some of the other Airstreams there sure looked good with their fresh coat of polish. We are suppose to be washing and waxing her on a regular basis and we have not stuck to that schedule real religiously. Hopefully it is not causing more filiform corrosion to appear on the aluminum panels. One thing I realize I really need to roll my sleeves up for is repacking those axle bearings. It was well over 50% of the visit’s cost just in labor alone. At $250 a year including parts and labor, I could probably use that money on some of the more expensive parts of my solar ambitions to better suit us for boondocking. The report card on our trailer brakes was well above passing which is good news. We have about 10,000 miles left of moderate driving before they will need changing and we probably won’t be putting that many miles on it during this trip. Of course it can all change once we pass the point of no return somewhere in Texas. I figure getting the brakes changed would not be too big of a hassle on the road as long as we found a good Airstream service center. As we dragged her back to San Pedro to spend our last afternoon in CA prior to taking off, Mila hit the 5 months old mark. She is way too young to remember anything we will experience from this trip but we will sure have lots of photos for her to look at when she is older. With everything tucked into every nook and cranny of the van and trailer, the girls gave Nona and Dida one more good night hug for the road. Sorry Ava, you are just gonna have to get use to the bright lights of the road. It’s not easy being a vagabond. Next stop, Arizona! One Response to And we’re off… Road Trip 2010!! !